I'm almost worried about admitting this out loud. But here goes. I like the idea of gin. Gin cocktails. Pink gin. Mums-who-drink-gin. Gin bars. Gin festivals. But the reality of actually drinking the stuff makes me gag. I find the scent almost alluring. Descriptions of 'floral hints' and 'botanicals' pique my interest. The bottles are trendy, fashionable affairs. Adding fruit, mint, cucumber are all winners for me usually. But then I taste it. And I shudder. At first it's like drinking perfume. Proper old-lady perfume. With potpourri floating in it. I'd go as far as admitting that to my (perhaps unrefined) palette, it just tastes like nail polish remover smells. Then it burns. All the way down. I know this makes me terribly uncool. How can anyone in 2017 not like gin? My Instagram feed is full of Mummy bloggers I admire quaffing the stuff whilst apparently feeding their children nothing but fish fingers or hip fashionista friends and celebrities taking selfies with their fancy cocktails and groomed eyebrows. And then there is the associated paraphernalia. The slogan clothing and gifts. Limited editions. Cocktail recipes. Afternoon teas. It's everywhere. It's trendy. Fashionable. In 2016 over 40 million bottles were sold in the UK alone. What is wrong with me? I've never been a dedicated follower of fashion but I feel a bit left out in the midst of the gin-drinking frenzy. I have even, on occasion, pretended that I like it. "OMG! Is that pink gin?! That's amazing"
"A gin and tonic cake?! #GetInMyBelly"
And believe me, I have tried to like it. (I want to be cool!) Earlier this year I went to a gin festival with some friends, convinced that if I try enough of the stuff then I'd be a convert by the end of the night. But I gave up after just a few attempts, unable to even finish the drinks I had bought (much to the pleasure of my gin-loving friends). My best friend came over for a movie night a couple of weeks back, bringing with her some drinks. Including the dreaded gin. I gave it my best shot but I couldn't hide the reaction as I took my first sip. I didn't want to hurt her feelings but I think she liked having more to drink herself whilst I grabbed a bottle of wine. Because don't get me wrong. As my friends all know, I love alcohol in general. Wine, rum, whiskey, brandy, prosecco and cocktails all go down very well with me. I just tend to have an aversion to spirits that taste like paint-stripper. So, this post probably outs me as a total weirdo with crap taste buds but I can no longer go on trying to pretend to be something I'm not. I'm hoping we can still be friends, after all, less for me is more for you. I'm nice like that. But I think gin is gross. I bloody love this post, can we start our own gang? 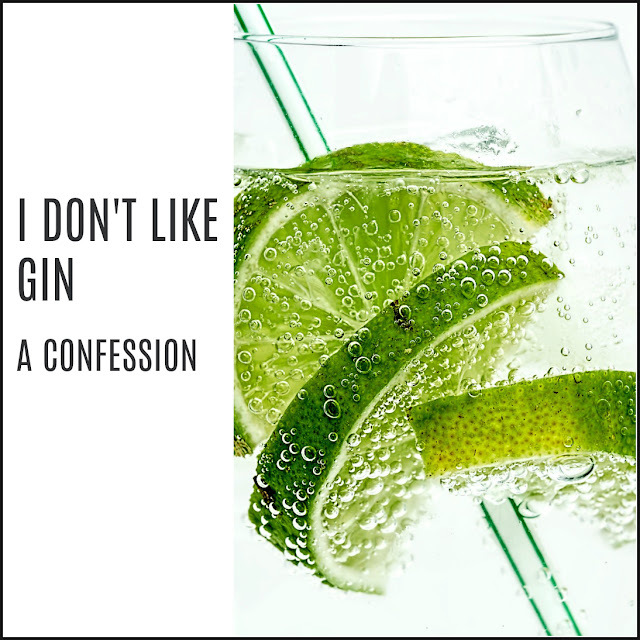 I've not really shared my dislike of gin for fear of exclusion.